Obstetric Anesthesiology is an integral division of the Department of Anesthesiology at the University of Florida. Obstetric Anesthesia services are provided at our main teaching institution, UF Health academic health center. 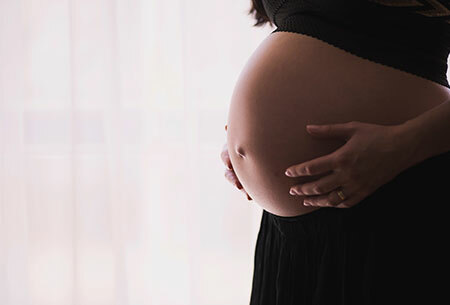 The scope of our obstetric anesthesiology program extends beyond the provision of epidural analgesia for labor pain and regional or general anesthesia for surgical procedures. Neuraxial blockade techniques such as the combined spinal-epidural, patient-controlled epidural anesthesia, “walking epidurals,” continuous spinal anesthetic techniques, or patient-controlled intravenous analgesia for labor are available. Options for post-cesarean analgesia include neuraxial opioids or catheters, patient-controlled systemic analgesia, and transversus abdominal plain blockade and catheters. We also coordinate and provide anesthesia services for those patients undergoing non-obstetric surgery while pregnant. High-risk patients undergo a thorough evaluation and discussion of anesthetic options. In consultation with the obstetricians, as well as other specialists, an optimal delivery plan is developed, combining medical safety with the wishes of the patient. Advanced monitoring techniques as well as management in an intensive care unit setting are readily available as deemed necessary. We offer a number of opportunities for undergraduate, graduate, and interdisciplinary education through rotations on obstetric anesthesiology and through simulated obstetric crisis drills coordinated with the Departments of Obstetrics and Gynecology, Anesthesiology, and Labor and Delivery nursing management.